The ringleader of the ISIS Paris attacks was killed during a raid carried out in Saint Denis, a Paris suburb. ISIS terror ringleader Abdelhamid Abaaoud was killed Wednesday night in Paris. Abdelhamid Abaaoud hailed from Brussels, Belgium. Abdelhamid Abaaoud’s body was riddled with bullets. The Belgian jihadist suspected of being the ringleader of the Paris terrorist attacks was killed during a raid on a suburban apartment, officials said Thursday. 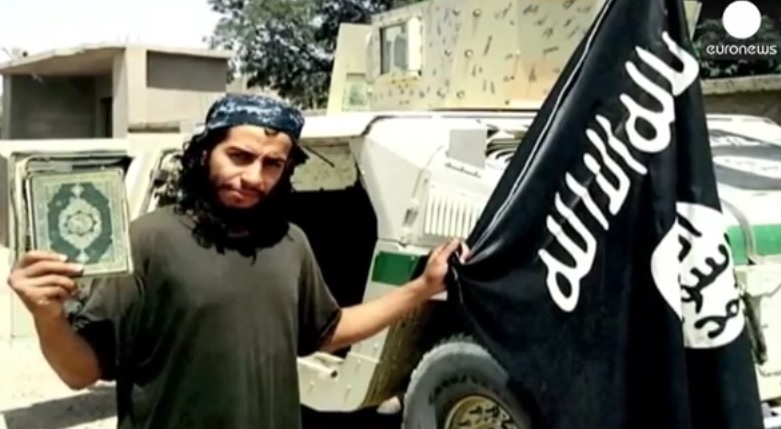 Abdelhamid Abaaoud, 27, died during Wednesday’s operation in Saint-Denis, according to the Paris prosecutor’s office. He was identified by his fingerprints. His body was riddled with bullets, according to officials. Abaaoud died along with a woman who blew herself up with a suicide belt when elite police forces stormed the scene. Eight other people were arrested. In addition to being the suspected ringleader of Friday’s coordinated assaults, he had been linked to the thwarted attacks in a Paris-bound high-speed train and a church near the French capital earlier this year. Earlier this year, Abaaoud boasted about avoiding capture and claimed he had been able to travel between Europe and Syria. Confirmation of his death came as authorities launched six raids in Brussels, including in the impoverished Molenbeek neighborhood where Abaaoud grew up, a spokesman for Belgium’s federal prosecutor told NBC News.